An initiative that would have provided for the nation's first legal, regulated sale of marijuana for personal use is on hold. The organizers of the Oregon Cannabis Tax Act (OCTA) announced last weekend that they were suspending signature gathering for the proposed 2010 initiative after it did poorly in initial polling. But while the OCTA is down, it may not be out. Organizers are suggesting they may be back with a rewrite in time to still make the 2010 ballot. "We have suspended the OCTA campaign after completing our polling," Oregon NORML head Madeline Martinez confirmed to the Chronicle. "Although the numbers were not too bad, not far from a win." Martinez and Oregon NORML had joined forces with D. Paul Stanford's The Hemp and Cannabis Foundation (THC Foundation) and its political action committee, the Committee for the Restoration and Regulation of Hemp (CRRH) to promote the initiative. Stanford was traveling and unavailable for comment this week. The OCTA would have been groundbreaking. It provides for the state liquor commission (to be renamed the Oregon Cannabis and Liquor Control Commission) to license the cultivation of marijuana for sale in state liquor stores and its purchase by adults. It authorizes hemp growing, which would be outside the purview of the commission. It allows for the non-commercial personal growing of marijuana. It provides for the sale at cost to pharmacies and medical research facilities of marijuana for medicinal purposes. But OCTA as written wasn't selling itself to potential voters, said Dr. Rick Bayer, chief petitioner for the 1998 OMMA. The initial polling results proved as much, he said. Neither the ballot title nor the summary of the initiative won majorities. Results Of "Yes" Vote: "Yes" vote permits state-licensed cultivation of marijuana and sale to adults through state liquor stores; ninety percent of net proceeds to state general fund. Results Of "No" Vote: "No" vote retains all existing prohibitions against the cultivation, manufacture, possession, and delivery of marijuana; retains current statues that permit regulated use of marijuana. Summary: Current law prohibits cultivation, manufacture, possession, and delivery of marijuana, but permits regulated medical use of marijuana. Proposed measure replaces state, local marijuana laws exept driving under the influence laws. Directs renamed Oregon Cannabis and Liquor Control Commission to license marijuana cultivation by qualified persons and to purchase entire crop. 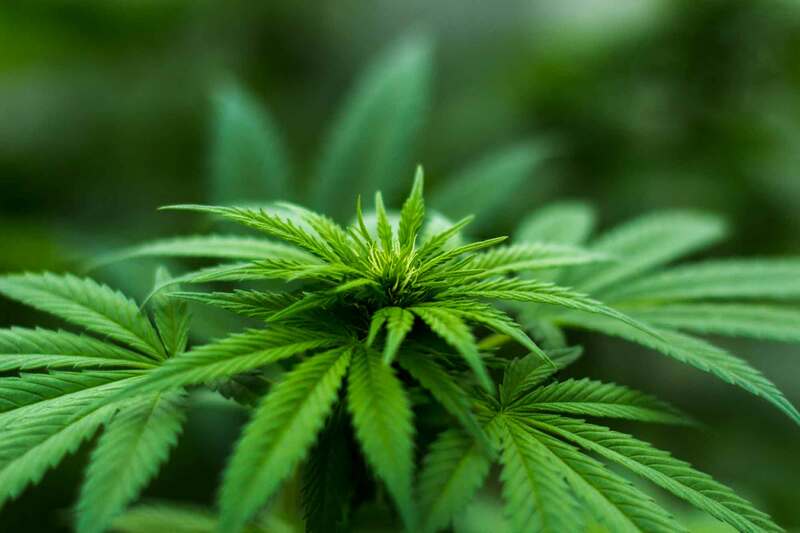 Commission sells marijuana at cost to pharmacies and medical research facilities for medical purposes, and to qualified adults for profit through state liquor stores. Ninety percent of net proceeds goes to state general fund; smaller percentages for education, drug abuse treatment, promotion of hemp products. Bans sales to, and possession by, minors. Bans public consumption except where signs permit and minors barred. Commission to regulate illicit use, set price, other duties. Provides penalties. Other provisions. "The OCTA ballot title, saying nothing about hemp, was politically unattractive," said Bayer, who had access to detailed polling results. "The ballot title alone polled 30%. Reading the summary, a far better -- but longer -- description of the OCTA, raised supporters to 39%. Telling people about the hemp part and re-polling the ballot title raised supporters to 42%." That's not good enough, said Bayer. "Tax & Regulate polling at 42% if it had a good ballot title is the best I can make it. Even though 42% is good compared to the national average for tax & regulate, it won't win. These stats had a 95% confidence level or +/- 5%, so the results seem pretty reliable. Even to the most statistically challenged, it was clear that OCTA was not going to win." But that doesn't mean OCTA is going away, said Martinez. "We know we can easily improve the language and poll very well during this economic crisis and refile in plenty of time for 2010," she reported. "We are very busy now rewriting, re-polling and refiling." Of course, OCTA isn't the only game in town when it comes to Oregon and marijuana. Recent legislative sessions have featured battles over efforts to gut the OMMA, with more set to come next year. And at least one other group is looking at a medical marijuana initiative for 2010. "I think it is a reasonable decision after they got polling results that showed it would be a difficult political environment to pass in 2010," said Anthony Johnson, political director for Voter Power, the group that directed the successful OMMA initiative campaign a decade ago and which is now gathering signatures to put a dispensary initiative, Initiative 28, on the 2010 ballot. "This may possibly free up resources and energy to help us get I-28 on the ballot for 2010." Voter Power is currently trying to get the money together to do similar polling on its initiative, especially in the face of criticism that it could somehow threaten the OMMA. But that hasn't happened yet. I would move there to help out.. This is a shame, but also a very smart move by the organizers. Better a year later than a loss. It's a revolutionary step to legalize and the liquor store distribution is a great idea - I really hope the public is ready for it by next year.